A love/hate relationship develops into a working partnership between a Baton Rouge police detective and a Drug Enforcement Administration agent. Wallace Hartman has caught a strange case of homicide: a drug dealer found tortured and dead with a live snake in his belly. Ronnie Overman was a major coke distributor with plenty of enemies, but which of them would kill him in such a bizarre way? Mason Cunningham, Deputy Assistant Administrator for Intelligence at the DEA, rarely leaves his D.C. office, but something about Overman’s case draws him to Louisiana to see this one for himself. His best analyst has just suggested that something strange in the local coke trade may lead to a major drug war. Wallace’s investigation leads her, via the unusual bags the coke found at the murder scene was packed in, to an agriculture research lab in Bayou Sara. Wallace and Mason, who begin by tiptoeing around their professional and personal relationship, slowly come to trust each other as they investigate. 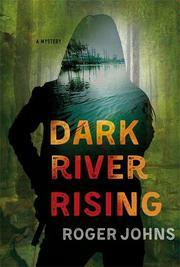 In Bayou Sara they discover that Matt Gable, a scientist at the lab, has vanished. His boss had ordered an unauthorized lab setup destroyed, but Matt’s girlfriend, Carla Chapman, packed it up and hid it instead. Frantic over Matt’s safety, she tells Wallace and Mason, and they send the equipment off to a lab to be tested. Matt’s house has been burned to the ground, and he seems to have taken off after the death of Overman, with whom he had some kind of working relationship. As the detectives struggle to figure out what Matt was doing to arouse so much interest from drug dealers, the evidence points to a shocking development that will require some very creative detective work indeed. Johns’ first novel is an exciting police procedural rolled into a romantic thriller that hints of more to come.